Obviously there is wealth of movies and TV shows available, often at reasonable prices and sometimes even free. And it's getting easier and easier to connect TVs to the great wild Web. It is a box that connects to the TV and comes with its own remote. It connects to the Internet through Wi-Fi or an Ethernet cable. Pros: Very small. Elegant interface. Able to stream video from iPhones, iPads and home computers as well as iTunes and Netflix. Cons: Compared with the competition, the Apple Inc. device is somewhat restricted in terms of online video available. There's no access to content from Hulu or Amazon, and it won't work with older TVs that lack an HDMI input. 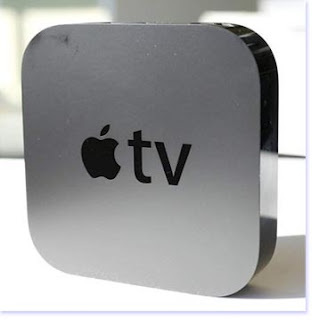 It is similar to the Apple TV and is the cheapest standalone option for getting a TV connected. Step-up options Roku XD and XD/S have better Wi-Fi chips and sharper, 1080p video, for $80 and $100 respectively. Pros: Small, clean interface. Access to Hulu, Netflix, Amazon and a wealth of independent, mostly free, video sources. Cons: Doesn't really let you show movies and photos from your own computer. Some software from third parties is supposed to do this, but we've had no luck getting any to work. However, Roku Inc.'s XD/S model has a port for USB drives with photos and movies. It is a full-blown, but small, desktop computer from Apple. Connect it to your TV, and the whole Internet is available to you. On the Windows side, the Dell Zino HD is a bulkier, but cheaper alternative, with a Blu-ray drive as an option. Pros: Mini is very elegant and quiet. Unsurpassed access to Internet video. Makes PC gaming on the TV a possibility, too. Cons: The most expensive option, and that's before you get a wireless keyboard, preferably with a touchpad, to control it. A small remote is available, but it costs extra and doesn't help with Web browsing. However, iPhones, iPod Touches and iPads can act as remotes too. Has DVD drive, but Apple doesn't support Blu-ray, so that's not an option. It is the first standalone device to run Google TV software, which is also available on some Sony TVs. Google Inc. wants to do more than just make another set-top box. It wants to bring its search function into the living room, to scour digital video recorders and programming guides for the content you want. However, it's not there yet — only a few Dish Network DVRs are compatible with Google TV. Pros: Comes with well-designed keyboard that includes a touchpad. Includes a Web browser, which can be used while showing live TV in a window. A webcam is an option for videoconferencing. The idea of replacing the clumsy, confusing interfaces of today's cable and satellite boxes is welcome. Cons: The device from Logitech International SA is expensive for what you get. Doesn't live up to its promise of wide media access yet. Some broadcasters block their shows from running on the Google TV Web browser because they don't want people to view their Internet content on the TV for free. It is a capable Internet video device, just like Microsoft Corp.'s Xbox 360. It has the added advantage of featuring a Blu-ray player. Even Nintendo Co.'s Wii console can play Netflix movies, making game consoles the Internet video device you're most likely to have already. Pros: In addition to Hulu Plus and Netflix, PlayStation 3 has access to Vudu, an Internet video service with impeccable HD movies. Oh, and it also plays games. Cons: Expensive if you're not going to use it for gaming. Access to online video is somewhat restricted compared with other options. Standard controller not well suited to be a video remote. Keypads and more standard remotes available as options. It is representative of today's Blu-ray players, which have come down in price to cost only a bit more than DVD players. Like this one, many of them come with the capability to stream Internet video, from sources such as Netflix, Amazon.com and Vudu. Pros: Cheap! Plays Blu-ray discs, which have better image quality than any stream you'll find. Plays photos and videos from USB drives. Cons: This model lacks Wi-Fi capability. LG Electronics Inc. and others have models with Wi-Fi for about $40 more. No ability to access content straight from your PC. If you're in the market for a new TV, just cut to the chase and get one that's Internet-enabled, so you won't need any add-on boxes. This model from Samsung Electronics Co. supports streaming services from Netflix Inc., Vudu Inc., Hulu.com and Amazon.com Inc.
Pros: No need to fiddle with two remotes. Easy to set up and doesn't clutter the media center. Cons: Not really an option if you already have a TV. This model lacks Wi-Fi capability. No keyboard means messaging, searching and browsing functions are limited. It costs about $100 more than non-Internet TVs, so getting a Roku box or a Blu-ray player would be cheaper.